Just after sunrise our bus stopped in Yanque a town on the edge of the Colca Canyon in Peru. There was a cadre of people dancing in the early morning light for the tourists. 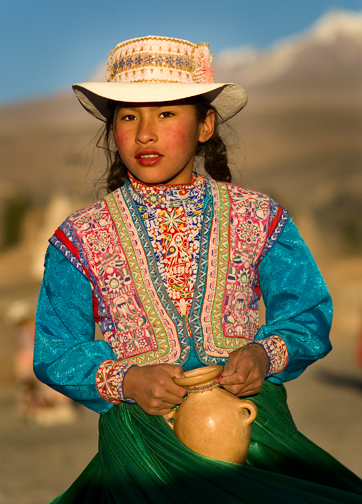 This young girl caught my attention as she danced with the Andes in the background.